Hannah Surry, a Level 3 Software Development Technician apprentice working for Lloyds Banking Group, became the 1000th apprentice to be accredited by the BCS in December. 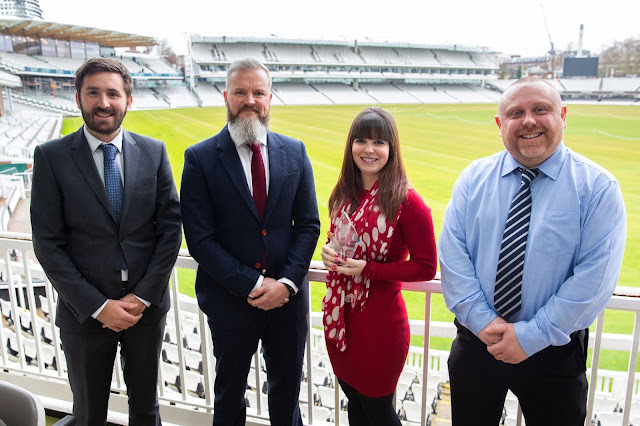 Hannah received a commemorative trophy from the BCS Head of Apprenticeships Annette Allmark at a special ceremony during the National Future of Apprenticeships Conference 2019 on 5th February. Hannah, who achieved a Distinction in her apprenticeship, said at the ceremony that her apprenticeship had "given me the confidence I needed to get into industry, and let me see the day-to-day work and challenges of the business. It has enabled me to get involved in real life projects, with time scales and budgets, all whilst learning about the IT industry." Vince Wing, Hannah’s Learning Mentor at Firebrand, attended the ceremony and praised Hannah’s dedication to learning. "Hannah stood out from other apprentices because she was so engaged with the whole process - she even mapped the requirements of the standard against her own job description!" 1000 apprentices is only the tip of the iceberg, according to Richard Mason, Future Skills Lead, Group Transformation at Lloyds Banking Group. "We’ve made a public commitment to recruit 8000 apprentices by 2020. 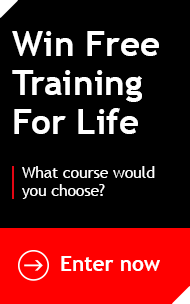 This will help us to grow key new skills such as cyber security, which is becoming increasingly important." "Apprenticeships also allow us to reskill existing staff and attract new talent, which brings a fresh perspective into the organisation as well as ensuring our colleagues better represent our customer base." Firebrand Managing Director, Stefano Capaldo said: “We really appreciate how effectively the new standards are now delivering skills to meet employers’ increasing need for digital understanding and capability. 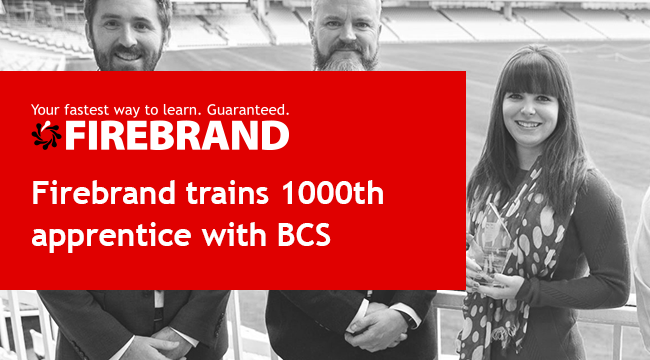 We look forward to continuing our partnership with BCS to develop digital apprenticeships that give more companies the benefit of people as accomplished as Hannah."